What’s the best defense to my DCP&P Case in Essex County NJ? The Tormey Law Firm LLC represents clients facing child abuse and neglect investigations and complaints throughout Essex County NJ, including in Irvington, West Orange, East Orange, and Bloomfield. We recently represented a client who was facing child abuse charges in the Essex County Superior Court, Family Division located in Newark, New Jersey. Sadly, our client, M.G. was falsely accused by DCP&P of inappropriately touching his stepdaughter on two occasions. Moreover, C.S., the mother of the child, was also falsely accused of having knowledge of the inappropriate behavior and failing to protect her daughter. As a result of the false accusations, M.G. was barred from the home of the child and barred from seeing his stepdaughter and biological son. The defendant hired the DYFS attorneys at the Tormey Law Firm LLC to represent him against these false charges. After inspecting DCP&P’s file and filing motions to obtain additional documents, it was uncovered that the child informed several people that she was lying about being touched. 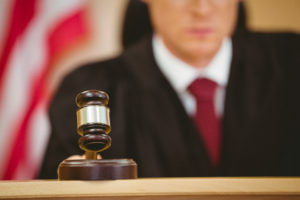 At trial, the misrepresentations alongside other inconsistencies in the child’s story was bought to the Court’s attention and consequently, the matter was dismissed. This was a spectacular result for our client and the Tormey Law Firm LLC. Don’t let false allegations ruin your life. Contact our DCP&P defense lawyers now for immediate assistance at (908)-356-6900. The initial consultation is always provided free of charge.